Dental bridges from West Hollywood Holistic and Cosmetic Dental Care are a common method of replacing one or more consecutive teeth that have been lost to injury or decay. A dental bridge can restore your smile's function and appearance, thereby helping you to maintain your healthy smile. When you have missing teeth, our West Hollywood dental bridges expert will help you decide whether this type of tooth replacement is right for you and your lifestyle. Dental bridges are named for bridging the gap missing teeth create between remaining teeth. A bridge is anchored on teeth called abutment teeth, those on the sides of the gap that needs to be filled. The abutment teeth are crowned for their protection and stability in supporting the false teeth, called pontics. Pontics may be made from one of several materials. In West Hollywood dental bridges, most patients seek porcelain or combined material false teeth. Porcelain false teeth appear very real and are indistinguishable adjacent to your own natural teeth surrounding them. 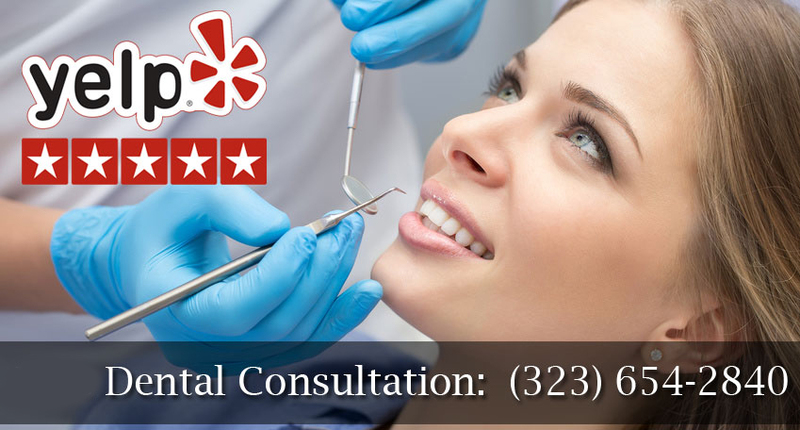 Your West Hollywood dental bridges expert, the holistic dentist of West Hollywood Holistic and Cosmetic Dental Care, will help you decide which material is best for you. Traditional bridges take the form of the pontic teeth anchored by two crowned natural teeth or implants on either side of the gap. These are the most commonly used type of dental bridges, with porcelain pontics. Cantilevers are rare today and are not recommended for back teeth. Cantilever bridges have been used where there are only existing teeth on one side of the missing teeth. Maryland bonded bridges are usually porcelain in part or entirely. Wings on one side are bonded to your existing teeth and support the bridge. If you need missing teeth replaced, your West Hollywood dental bridges and cosmetic dentist can help you understand options for completion and restoration of your smile. Your bridge may be made using natural teeth or dental implants. If implants are needed, you will have those placed by the implant dentist first. After those have had time to heal, you can have a bridge installed. If your natural teeth will be used, your cosmetic dentist will prepare them for support of the crowns, such as through a root canal treatment if they have decay or damage. For your dental bridges procedure, the dentist will start by numbing the area to be treated with a local anesthetic. Stressed or anxious patients may be provided with an additional sedative to feel relaxed and comfortable. 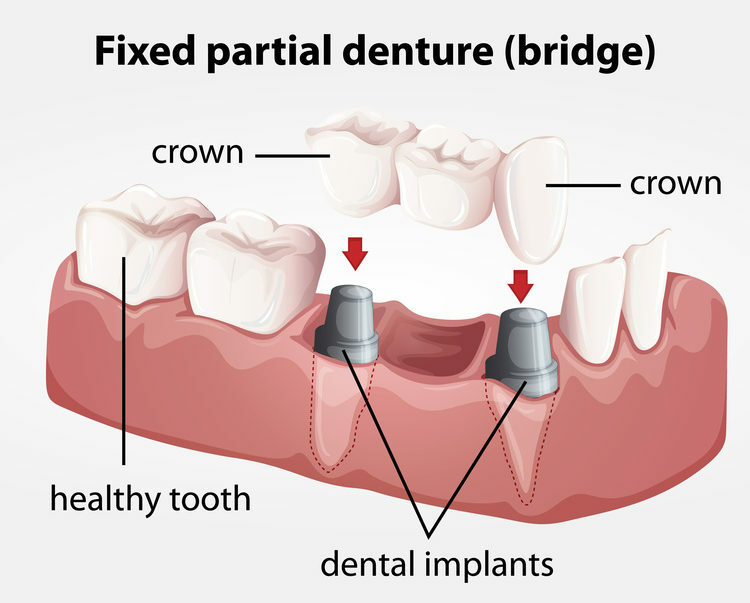 As soon as the region of repair has been numbed, the abutment teeth will be trimmed and shaped for their crowns that will provide support for the bridge. Dental impressions of the prepared teeth are then made and a temporary bridge will be put into place. The dental lab will craft your custom bridge using the cast impressions. Once the bridge is received from the lab, you will be scheduled for another appointment in the West Hollywood dentist's office. That is when your dental bridge will be put into place, then checked for fit. A dental cement is applied to the bridge to bond it to your abutment teeth on each side. Bridges are long lasting solutions for missing teeth. Through good dental hygiene and regular checkups with your holistic dentist, your bridge should wear well for years. Brush after each meal and floss around the bridge using a floss threader to remove debris and plaque. If you protect your smile, your dental bridge will be a long term investment that keeps you smiling. For replacement of one or several of your missing teeth, call West Hollywood Holistic and Cosmetic Dental Care for an appointment.